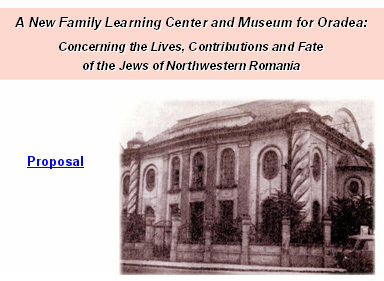 A report on meetings and exchanges with the Leadership of Romania's Jewish Communities concerning the plan to create a new Jewish Museum and Family Learning Center in Oradea, and ongoing efforts to launch the project. "There is no museum of Jewish history in all of Romania, so without a doubt a Jewish Museum and Learning Center in Oradea would be an important institution. commemorates the dead. The question is how do we educate the people? We should invest in education, because that is the future." 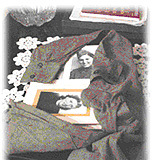 Author, scholar and historian of the Holocaust in Romania. The city of Oradea, Nagyvárad in Hungarian and Grosswardein in German, is in the area of northwest Romania known as Transylvania, a few miles from the border with Hungary. Oradea began as a Roman settlement two thousand years ago. It has been shaped by Hungarian, Turkish, Austrian, Romanian, again Hungarian and again Romanian rule, as well as periods of Nazi and Soviet occupation. It was also the destination of migrations of Germans, Jews and Roma (Gypsies). All three of its names refer to the citadel or fortress at the center of the city, there since the 1500s. Today it is a bustling city of over one-quarter million people. About two-thirds are Romanian and one-third are Hungarian. A tiny Jewish community remains. Oradea was once home to a large and vibrant Jewish community, before Hitler's rise and World War II. By the 1940s, of the city's 90,000 people, about 30,000 were Jewish. Jewish people made important and lasting contributions in the arts and sciences, commerce, industry, and humanitarian service. They helped establish the city's chemical and milling industries, its transportation, communications and banking infrastructure. They played important roles in the city's medical, academic and artistic institutions. They helped give the city its unusually enlightened and tolerant character, doing much to help shape the look and feel of what is today's Oradea. The Jewish community of Nagyvárad, as the city was known under Hungarian rule, suffered terribly during the years of the second world war. Men between 18 and 54 years of age were taken for slave labor in the Hungarian Labor Service where many of them died. Children were barred from schools. Families were stripped of their possessions. In the spring of 1944 two ghettos were established not far from city's center by the main Nazi specialist. The brutalities were organized by an assigned mayor from the west. About 30,000 Oradean Jewish citizens, and some from nearby areas, were forced into the ghettos. Most endured the inhuman conditions; many were tortured; some committed suicide; a very few escaped. Within weeks, the ghettos were emptied and all were forced aboard freight trains in the area of Balcescu (Rhédey) Park, two or three thousand people a day, a total of seven shipments. They were delivered to Auschwitz-Birkenau, where the vast majority met the fate of the six million European Jews lost in the war. Of those very few who survived, some returned to their city, again under Romanian rule and called Oradea. A small new Jewish community formed, attracting survivors from nearby areas as well. Many who had lost spouses and children quickly remarried. New families were established. The community grew within a few years to perhaps one-quarter the size it had once been. 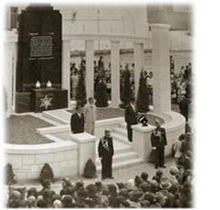 As they worked to recover and build new lives, the Jewish survivors turned their attention to building a monument in memory of the those they lost. They completed and dedicated it in 1946. These are the ones I will remember with tears. The glory of our congregation was destroyed. Twenty-five thousand holy souls of my loved ones. They lived in our city, they were persecuted, they were confined in the ghetto under the command of the fascist Hungarian government. The old, the women, the young children. In May 1944, after weeks of tortures and horrible torments, they were deported to Germany, to the extermination camps, Auschwitz-Birkenau. They were murdered in the gas chambers, burned in the ovens, and died of disease, hunger and cruel deaths together with the 6 million European Jews lost in sanctifying God's name. After the fall of Hitler, may his name be erased, only ten per cent of them returned. We will never forget our holy ones! May their memory be holy! Under the Communist regime imposed in 1945 there were new hardships. Romania grew increasingly intolerant of Jewish independence. Newly-formed Zionist organizations were liquidated, their leaders often arrested and imprisoned. Most Jews decided to leave and make lives elsewhere, but applying for travel privileges could label a person an enemy of the state. Many lost their jobs and a few were incarcerated in Gulag-style forced labor camps, established throughout Romania under the Stalin-influenced dictatorship. In the 1950s, Romania began selling its Jewish citizens to Israel, at first in exchange for services such as factory construction and later for hard currency. Eventually Ceausescu extended the practice to include the sale of Germans and Romanians who wanted to move to Germany. He is reported to have said that Romania's most important exports were "Jews, Germans and oil." 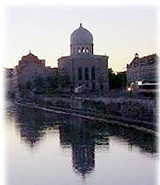 Most of Oradea's remaining Jewish families emigrated to Israel, North America, Western Europe and Australia. Today, while there are only a few hundred still living in Oradea, there are new generations and large numbers throughout the world with direct ties to the city. Some among them have a deep and abiding interest in the place that was home to their brothers and sisters, parents and grandparents. Since 2001, a group from North America, supported by the Lempert Family Foundation, has been in contact with Oradea's Jewish community, its municipal officials, educators, journalists, and church and ethnic leaders about ways to preserve the memory. They have been asking questions, offering perspectives and working to build a consensus around the need to preserve the Jewish heritage and to make its true stories and lessons available to all. The group believes that today's Romania can benefit from honoring and preserving the memory, telling the true stories, and teaching Oradea's children about the lives, contributions and fate of the people who lived side by side with earlier generations of their own families. © 2014 Lempert Family Foundation. All rights reserved.